Investment is a long-term activity where the investor tends to invest in the business than going by the price value of the stocks. To make fruitful investments proper planning is required. Investment into stock market has been quite popular among folks to generate wealth. But it is also important to proceed with an investment with proper planning. If you want to be a successful investor then setting goals, planning, making strategies and following them is crucial. Investment is a long-term activity where the investor tends to invest in the business than going by the price value of the stocks. To make fruitful investments proper planning is required. 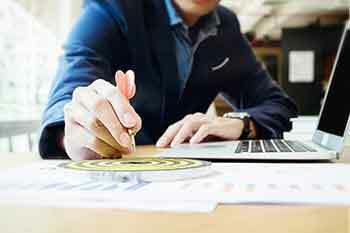 This planning has to be done keeping in mind all the short-term or long-term goals which need to be fulfilled, the time horizon of these goals and the risk appetite. 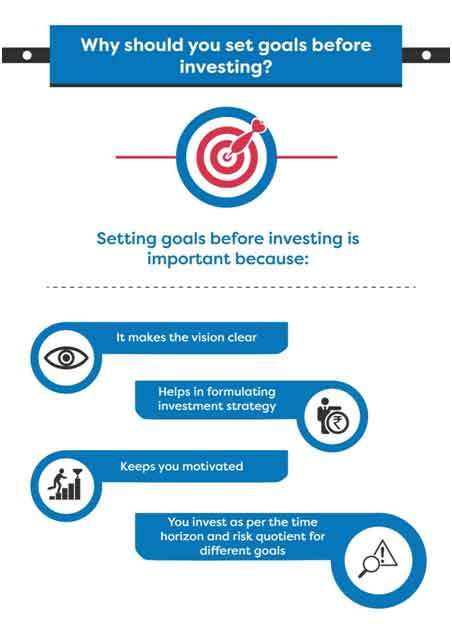 Why setting goals before an investment is important? If you start investing without any goal there are very rare chances that you might end up getting the desired result while the odds of not being able to reach the desired point is much more. Goals could be anything which you want to achieve with the help of investing in the stock market. It makes the vision clear: When you are planning to stay in the market for longer terms, you definitely need to have a clear vision so that your investment goes smoothly with the different phases and events of the life. With the goals set already you what to be done and then making the right strategy to achieve them pave the way to be a successful investor. Thus, setting goals bring in clarity. Helps in formulating investment strategy: If you have a regressive goal to be fulfilled in a shorter span then the assets you would invest in, would be different than a rather easy goal. Setting goals not only brings in clarity but also sets a stage for the formulation of investment strategies. It keeps you motivated: Setting up goals keeps you motivated enough to earn in order to achieve them. This has a positive impact on the earnings because motivation brings in positivity and paves the way to success. You invest as per the time horizon and risk quotient for different goals: When you have different goals set before investing, you have a different time horizon and risk quotient for different goals. This makes your approach different towards each of them. Though some of the goals might be urgent and high priority in nature, so to fulfil them you have a smaller time horizon and also have to take a higher risk quotient to achieve them. On the other hand. Other goals might not be so urgent and could go along over a wider time horizon with lesser risk quotient. Thus, setting goals is very important in order to channelize all your energies to the best of result. It helps in bringing the right strategy at the right time for the right move in investment, thereby increasing the yields by many folds. What are the Goals set by people before investing? These goals could range right from being the most generic ones to being personal in nature. These goals vary from one investor to another and also from one time to another for a single investor. Some of them might be very short-term ones while others might be of a long time horizon of decades. Above are a few examples of goals set before investment. There could be much more and they might vary from time to time. But what remains constant is the drive to achieve these through successful investment. When you plan to invest into assets, having your goals set beforehand is very important to get the investment more fruitful each time. The strategy of investments changes with different goals bringing in more confidence and positivity with every goal which is achieved to advance further. So, list down the set of goals before you plan to invest.